The best thing we look forward to before a holiday is the time we make our way to the airport and get on the flight to our destination. Personally, I think planning the itinerary is fun because it’s like you get a taste of the trip before it happens. But what I dread the most is packing clothes for it, and then fretting over the amount of money to bring. When those are done, my next stop is looking for an empty pouch or wallet that is inconspicuous and preferably as unattractive as possible for the money, lest it gets unwanted attention or worse, stolen. A good tip I can give is that it is best to be as practical as possible when travelling. So besides packing enough clothes (and just one more extra pair of underwear), bringing just one wallet should be enough on your next trip. 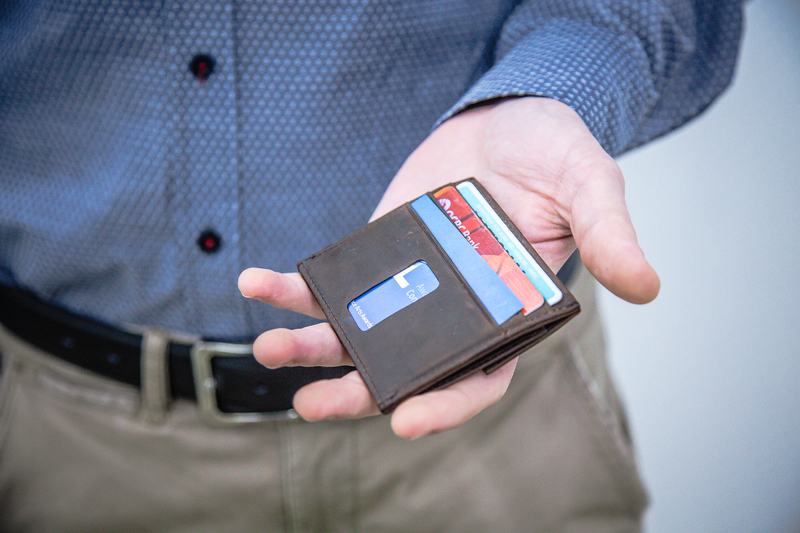 And perhaps this wallet could just be that universal wallet for everything. 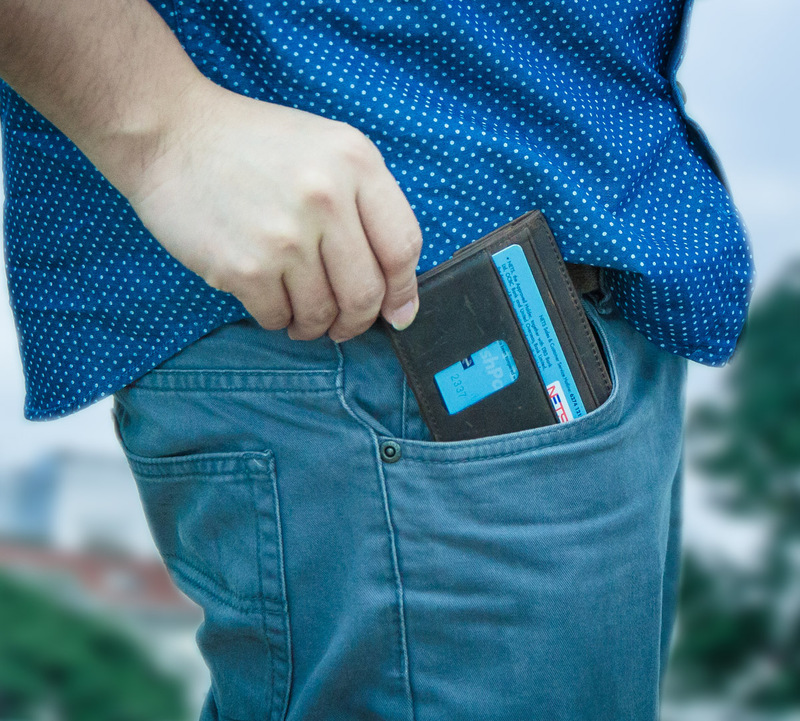 29-year old Edwin Wong and his partner, Charly, started a Kickstarter project in June this year for “The Perfect Minimalist Wallet” – and in two months, raised 262% of their target! You might also remember him as one-third of Modest Mark (previously known as The Minimalist Brand), who are no strangers to Kickstarter projects. But before Ed became a part of Ed Charly (an amalgamation of their names), he was a regular student in Singapore Polytechnic taking his diploma in the School of Chemical & Life Sciences faculty. He started learning magic as a hobby during his tenure in poly. 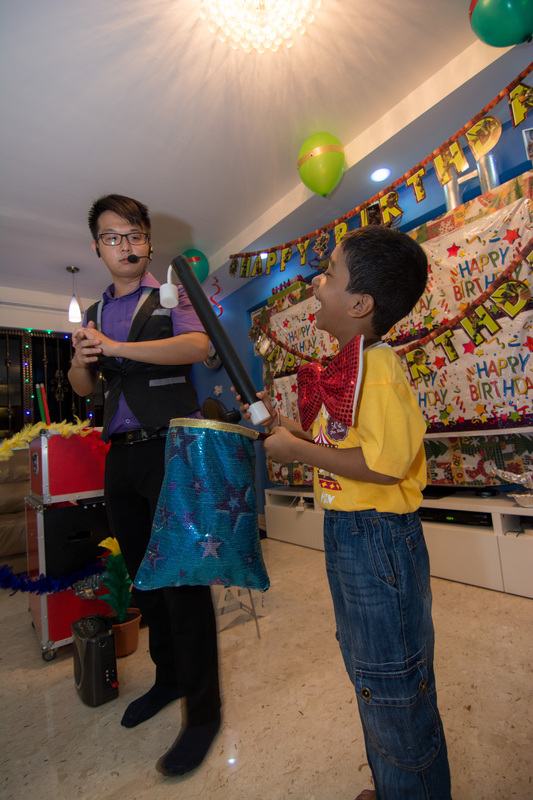 He did not imagine that it would later become a full-time business after his time in National Service when he started a kids’ party entertainment company. At first, it was supposed to be a part-time gig when he was working full-time as an independent financial adviser. But even though he loved the life sciences, he had always had great interest in starting up his own business. So, two years ago, Ed decided to leave his full-time job and focus on the entertainment company. When I asked Ed if his parents were worried about his career choice as a magician, and he said they were because his work timings were irregular and he would be leaving full-time employment with “no steady stream of income and no business experience”. I am thankful that they are still very supportive in my decision. At times, they will share their life experience with me, enlightening me that even failure is an important process [and that it is a] part of life. That was also the time he came up with the idea for the Ed Wallet. Now, with Charly, who handles product development, he is in charge of the overall operation of the company. As an entrepreneur, he feels strongly about his roots. Ed comes from an average family that is “not rich, not poor”, according to him. His father was the sole breadwinner providing for a family of five. He believes in the statement, “Hard work pays off” and said that he was influenced by his family. Whether I can succeed or not is another matter, but I will do my very best. With the amount raised from the Kickstarter funding, he said the next most expensive investment he is putting in is the time. It isn’t easy to create a product right away. A lot of trial and error [needed to be done], from drafting up the product to creating the prototype. The reason for turning to global crowdfunding platform, Kickstarter, was a simple one – it is the world’s largest (and most commonly talked about) crowdfunding platform. For the wallet, 30% of the backers are from Singapore, the rest of the 70% are backers from around the world. Ed’s initial concerns for setting the Kickstarter goal was to ensure that they had enough funds to produce the wallet in mass production should it be successfully funded. With no experience and background in product design, the duo’s inspiration came from a video they chanced upon on a DIY origami wallet on the Internet and that when they thought of combining that idea with Ed’s card holder wallet. Of course, they had to iron out some creases along the way. When we first started designing the wallet based on the DIY origami wallet, the outcome of the wallet was a total disaster. 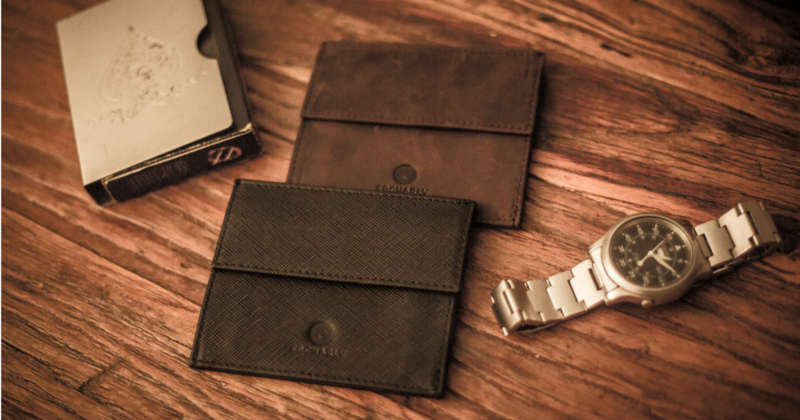 The dimensions was too big, it was [bulky] to be considered a minimalist wallet, and the materials weren’t suitable to withstand long-term use. We have [many] failed prototypes lying around. But all of that time and effort put in paid off. The duo were overjoyed when the numbers crossed the $5,000 goal they had set. Ed has confirmed that the team are looking at releasing another new design in the next few months “with the help and suggestion given by the Kickstarter community”. Wrapping up the interview, I asked what he thought of the ‘Made in Singapore’ brand. 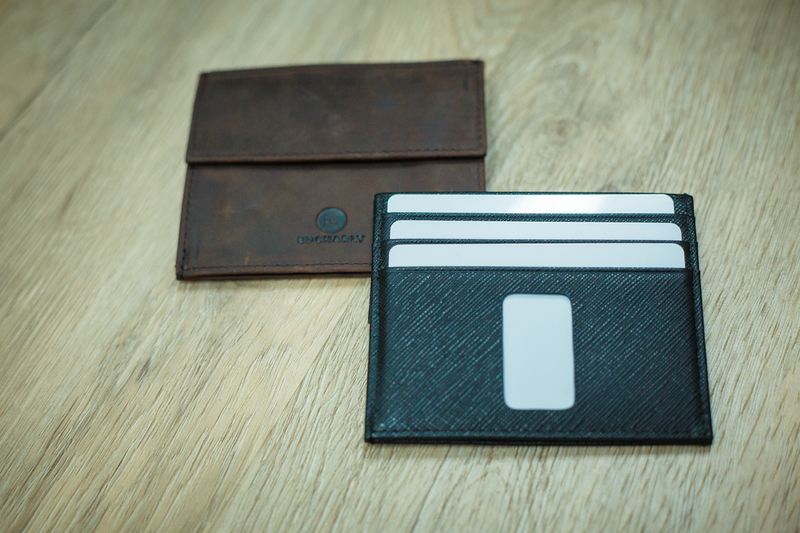 Find out more about the wallet at their campaign page here, and buy it here.